One of the Trump administration’s first decisions about the fight against the Islamic State was made by Michael Flynn weeks before he was fired – and it conformed to the wishes of Turkey, whose interests, unbeknownst to anyone in Washington, he’d been paid more than $500,000 to represent. If Flynn explained his answer, that’s not recorded, and it’s not known whether he consulted anyone else on the transition team before rendering his verdict. But his position was consistent with the wishes of Turkey, which had long opposed the United States partnering with the Kurdish forces – and which was his undeclared client. We need to adjust our foreign policy to recognize Turkey as a priority. In this crisis, it is imperative that we remember who our real friends are. Treason is the only crime that is defined in the Constitution, where it’s described as levying war against the U.S. or “adhering to” an enemy – helping them, in other words. An enemy is a nation or organization against whom the U.S. has declared war, said Carlton Larson, a law professor at the University of California at Davis who specializes in treason. While non-state actors like ISIS probably fit the definition, Flynn’s action not to support a specific group against them does not legally fit the bill, Larson said. Even at the height of the Cold War, when Julius and Ethel Rosenberg handed over nuclear secrets to the Soviet Union, they were tried and executed not for treason but for espionage. From Secretary of State Rex Tillerson to former campaign director Paul Manafort, President Donald Trump’s allies have business and personal connections to Russia. As Congress and the FBI look into Russia’s involvement with the 2016 election, those connections are increasingly under a microscope. Just days before President Trump was sworn in, his former national security adviser, Michael Flynn, reportedly blocked a military plan opposed by Turkey that was supposed to take aim against an ISIS group. The plan that he reportedly blocked was to be carried out by Syrian Kurdish forces in Raqqa, a measure Turkey has long opposed. Flynn, who was fired from his position in February, was registered as a foreign agent for $530,000 worth of lobbying work before Election Day. The McClatchy news service reported that President Obama’s national security team asked for Trump’s approval on a plan to retake the Islamic State’s de facto capital of Raqqa, because it was more than likely to be carried out under his presidency. Timelines distributed by members of Congress show that Flynn told then national security advisor Susan Rice to hold off, delaying the operation for months. Trump eventually approved the plan, but only after Flynn had been fired in February for misleading Vice President Mike Pence and other white House officials about his ties to Russia’s ambassador to the U.S.
News about Flynn’s activity comes amid intense scrutiny over his and other Trump associates’ potential contacts with Russia. On Wednesday, the Department of Justice named former FBI Director Robert Mueller to be special counsel investigating Russian efforts to influence the U.S. presidential election. Mueller will have sweeping powers, including the right to bring federal charges. House and Senate intelligence committees are also investigating. After the shortest tenure as White House national security adviser in history, Michael Flynn faces a legal mess that Washington has not seen in decades, according to legal analysts. The tangled drama, which will last far longer than his tenure as President Trump’s top security aide, includes uncertainty over what crimes the retired general might have committed, what mechanism exists for him to testify without incriminating himself, how much more light could he shed on the overall investigation into suspected Russian meddling in the presidential election and whether he could name Obama-era officials who targeted him for surveillance. The president’s abrupt dismissal last week of FBI Director James B. Comey, whose agency was heading the investigation of suspected links between Russia and Mr. Trump’s campaign, has changed the calculus — and potentially the stakes — in talks between the former general’s legal team and lawmakers inCapitol Hill over a potential immunity deal to discover what Mr. Flynn knows. Fired by Mr. Trump for misleading Vice President Mike Pence about his Russian contacts, Mr. Flynn also may have failed to properly report earning about $40,000 from Russia’s state TV channel RT and other payments to his consulting firm from representatives of the Turkish government. As of Monday, the agencies investigating Mr. Flynn’s dealings include the Pentagon, the FBI, the House and Senate intelligence committees, the Senate Judiciary Committee, and the House Oversight and Government Reform Committee. Hundreds of journalists from around the world and an unknown number of intelligence services also are trying to learn what Mr. Flynn did. Last week, the SenatePermanent Select Committee on Intelligence subpoenaed Mr. Flynn for documents related to its Russia investigation, a rare move for a congressional inquiry. Late last week, news also emerged that federal prosecutors from the U.S. attorneys office in the Eastern District of Virginia had issued their own subpoenas, these for information related to Mr. Flynn’s business activities after he stepped down as director of the Defense Intelligence Agency in 2014. What crime, or crimes, Mr. Flynn broke is a subject of debate among Republican and Democratic insiders across Capitol Hill. Mr. Flynn’s case looks anything but clean. Evidence unearthed thus far from public hearings and via congressional document requests has found multiple potential violations, including his work representing foreign governments. Shortly after his firing, however, Mr. Flynn retroactively corrected his Foreign Agents Registration Act listing, citing work on behalf of the Russian and Turkish governments, for which he earned roughly a half-million dollars. The issue caused serious headaches for the White House. But legal analysts say by retroactively acknowledging the mistake, Mr. Flynn could be fined but never criminally charged. “With FARA cases, when people fail to register, then later register, it generally undercuts the case because they have mitigated the crime before the case is brought,” Ms. Van Gelder said. Another tricky issue is that Mr. Flynn did not fully disclose his Russian business dealings when he sought to renew his security clearance. According to information obtained by the House Oversight and Government Reform Committee, Form SF-86, which national security employees must complete, failed to disclose Mr. Flynn’s RT payment. Legal analysts say Mr. Flynn can claim this was a mistake. Mr. Flynn initially claimed he was paid by RT, a state-owned TV station, and not directly by the Russian government. There is also Article I, Section 9 of the U.S. Constitution — the emoluments clause — which includes a ban on foreign payments to retired military officers. Legal scholars say that broadly speaking, Mr. Flynn’s indiscretions, if bundled together, could represent a violation of the emoluments clause. However, legal analysts also say the charges are weak and that the clause is hard to decipher and lacks a specific penalty. At the extreme is the question of treason, with a hypothetical argument that goes along these lines: Mr. Flynn and Russian Ambassador Sergey Kislyak discussed lifting U.S. sanctions against Moscow. Then Mr. Flynn received money. The voices against Mr. Flynn are diverse and aligned. Last week, former acting Attorney General Sally Q. Yates testified before a Senate committee that she told Trump administration attorneys in late January that Mr. Flynn was at risk of being blackmailed by Russia. House Oversight and Government Reform Committee Chairman Jason Chaffetz, Utah Republican, and Rep. Elijah E. Cummings of Maryland, the committee’s ranking Democrat, have repeatedly said that they have grave concerns about Mr. Flynn’s actions and that he seems to have committed crimes. Mr. Flynn’s legal journey could take any number of roads, say lawyers with congressional investigation expertise. Determining what crime he committed is as tricky as predicting whether he will ever testify. Earlier this year, Mr. Kelner sought an immunity agreement so that Mr. Flynn could testify on Capitol Hill. The request is not without precedent, even in high-profile national security cases. Congress granted Reagan aide Oliver North a type of immunity when he testified about the Iran-Contra affair 30 years ago. Thus far, congressional investigators have denied Mr. Flynn’s request for immunity. They have subpoenaed documents, and reports say federal prosecutors in Virginia are also after information. But right now, lawyers say, what Mr. Flynn represents is essentially someone who could give interesting testimony about all his Russians contacts and experiences — or name Obama-era officials who targeted him for surveillance — but will likely not because he could incriminate himself. If Congress wants him to testify and he refuses, they could charge him with contempt. This would be debated by whichever chamber brought the charges, then voted on, then turned over to the U.S. attorney for the District of Columbia, who could call a grand jury. Mr. Kelner is a campaign finance, political law and government investigations specialist who will likely play a central role in the drama. A Republican and former speechwriter for Jack Kemp, Mr. Kelner now works with the Washington headquarters of Covington & Burling LLP and is well known on Capitol Hill for his expertise navigating congressional investigations. Mr. Kelner has described such proceedings as the “Wild West” because they lack a set of defined rules, according to a recent article in the National Law Journal. Mr. Kelner did not respond to repeated interview requests. But congressional insiders vouch for his credibility and experience with high-profile political clients, including the National Republican Congressional Committee, which hired him last decade to investigate a sensitive embezzling case. Alongside Rep. Michael K. Conaway, who was the NRCC’s auditing committee chairman, Mr. Kelner helped remedy the issue. Mr. Conaway, Texas Republican, is currently heading the House Permanent Select Committee on Intelligence investigation into Russian hacking. Mr. Kelner’s “Wild West” experiences also include representing John Lopez, chief of staff to former Sen. John Ensign — the Nevada Republican who resigned in 2011 amid a Senate ethics probe into an affair with an aide’s wife. Mr. Lopez received immunity before becoming a key witness. Mr. Kelner also helped clear former Rep. Tom Petri, Wisconsin Republican, from an ethics investigation into his business matters. Lawyers familiar with Mr. Kelner have called him principled and a first-rate defense attorney. He is also no fan of Mr. Trump. In July, he said on Twitter, “After the November apocalypse, it will fall to those Republicans who opposed Trump (those few) to gather the ashes and rebuild.” The next month, he likened Trump voters to zombies. to oversee the federal investigation into Russia’s attempts to influence the 2016 election and the possibility of collusion with President Donald Trump’s campaign officials — a legal tangle in which Flynn plays a central role. , citing two people familiar with the case, claimed that Flynn told the Trump transition team more than two weeks before the inauguration that he was under federal investigation for secretly working as a paid lobbyist for Turkey during the campaign. Flynn was appointed national security adviser despite this revelation, which was made on January 4 to the transition team’s chief lawyer Donald McGahn, now the White House counsel, the New York Times said. “That conversation, and another one two days later between Mr. Flynn’s lawyer and transition lawyers, shows that the Trump team knew about the investigation of Mr. Flynn far earlier than has been previously reported,” it said. , citing members of Congress, claimed that just before Trump’s inauguration, Flynn opposed a military operation to which Turkey would have objected while being paid to lobby on the country’s behalf, a contract he had not disclosed. Congress has been told the Obama administration wanted the incoming Trump administration to sign off on a Pentagon plan to retake ISIS stronghold Raqqa with Syrian Kurdish forces, because the operation would likely happen after Trump took office. Then-President Barack Obama’s national security adviser Susan Rice briefed Flynn, who according to the McClatchy report “didn’t hesitate” to tell her to hold off. One US official explained to CNN the Obama administration offered to green light arming the Kurds during the transition in order to spare Trump the fallout with Ankara. The official had the impression Trump’s people vetoed it because they wanted to do their own strategic review. The official did not speak to Flynn’s role in this. That decision meant the operation — which was ultimately approved by Trump — was delayed by months. Turkey sees these militias, which are widely seen as the most effective fighting force on the ground, as an extension of the outlawed Kurdistan Workers Party, or PKK, which is considered a terrorist group in the US, Turkey and Europe. The US views the two Kurdish groups as distinct organizations. Flynn was forced to resign in February after lying to Vice President Mike Pence about the nature of his conversations with Russia’s ambassador to Washington, Sergey Kislyak. Since then, it’s emerged that he was paid at least $500,000 to represent Turkey’s interests during the 2016 US election campaign and reportedly didn’t properly report a speech he gave to RT TV, a media operation widely regarded as a propaganda arm for the Russian government. The Trump administration has been plagued by questions over Flynn, who was fired only 24 days into the role, and he’s a key figure in ongoing investigations by Congress and the FBI. A presidency that had seemed in danger of slipping legal restraints — for example after Trump’s firing of FBI Director James Comey in an apparent bid to shut down the FBI Russia investigation — now appears constrained by the rule of law. The checks and balances of democracy, in other words, hold. Wednesday’s announcement might also be remembered as the moment that the norms that apply to other politicians finally also ensnared Trump. For so long, the President has broken rules that govern public life. So confident was he of his own immunity to convention that he once boasted he could shoot someone in the middle of New York’s Fifth Avenue and wouldn’t lose voters. But as President, that impunity has been challenged and Trump’s behavior became a liability. Ultimately, had he not fired Comey in a fit of pique about the Russia investigation, it might never had emerged that he reportedly asked the FBI chief to cool it in his investigation. And Rosenstein’s hand may not have been forced and Trump may not have faced a special counsel. Whatever Mueller eventually concludes, his reputation for fairness, reflected by the high praise that showered him from both sides of the aisle Wednesday, may ensure, crucially, wide acceptance of his eventual conclusion. If there was wrongdoing, that gives the President plenty of cause for concern. But it also means Trump’s critics, who have confidently predicted his guilt in the Russia episode, will have little choice but to accept any finding by Mueller that no indictments are necessary — a fact that Trump, given his insistence that the Russia meddling story is a big hoax, should welcome. “When (Mueller) says we don’t have probable cause to pursue this — there are no charges that are going to be put forth, I think that will be a good thing for the Trump administration,” said Trump supporter Kayleigh McEnany on CNN. But there are broad political ramifications that flow from Wednesday’s announcement. The appointment represents a significant loss of control of the Russia story for the administration. Previously, it appeared that the administration sought to influence the course of a House intelligence committee inquiry. Trump told NBC News that he was thinking of the Russia probe when he fired Comey. 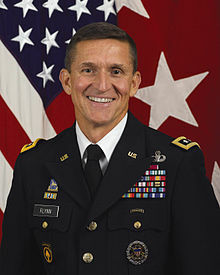 And The New York Times and then CNN reported Tuesday that he had asked the former FBI director to drop the probe into former national security adviser Michael Flynn before he fired him. Mueller’s arrival on the scene represents another learning experience for a President determined to wield wide executive power but who has been thwarted by checks built into the nation’s political infrastructure, for example, the courts that blocked his travel ban for people from Muslim nations. Mueller will also have discretion to take the investigation where he sees fit and will likely be well resourced, in terms of manpower and his own vast experience, and will be able to convene a grand jury and lay indictments. Most concerning for the White House may be Mueller’s investigative freedom. He could for example subpoena the President’s tax returns, which Trump has refused to release publicly, and which his critics say could contain evidence of exposure to Russian debt or investments that could pose a conflict of interest or cloud his judgment. The White House would likely fight such a step in court, triggering what would be a damaging showdown that would have damaging political reverberations. One early sign of trouble could come if Mueller seeks to block the release to congressional investigators memos written by Comey after Trump reportedly asked him to steer clear of Flynn. That could indicate that he is probing alleged interference in the FBI’s Russia investigation by the President. Past presidents have chafed at the way independent counsels and prosecutors have taken their probes well beyond their initial bounds. In theory that could mean that Trump and his aides could find their past lives, as well as their present arrangements, open to investigation. The impact of a special counsel investigation is almost certain to sap severely drained morale in the White House. Already, the West Wing mood was desperately grim. One White House official told CNN’s Jim Acosta staff were exhausted by days of devastating reversals. “It’s just been three days straight of these 5:45 pm announcements,” the official said. Staffers now face the prospect that they will be examined by Mueller’s probe and will worry about their own potential legal jeopardy, and must cope with the corrosive reality of working in an administration that will now be under a dark cloud of investigation and uncertainty for months or even years to come. It is not just at 1600 Pennsylvania Avenue where the political impact of Mueller’s arrival will be felt. For Capitol Hill Republicans, who have been whiplashed by the chaotic storm over allegations of wrongdoing by Trump and the White House, there was an audible sigh of relief. GOP leaders have been caught between the White House’s increasing exposure on Russia and a desire not to offend the President’s voters, who represent a substantial portion of their party’s base and impatience that his troubles are slowing their best chance in decades to enact a conservative agenda. Now, when House Speaker Paul Ryan is asked whether he will do more to investigate Trump, he can refer to the credible investigation that is being undertaken by Mueller. The GOP may get some space to push ahead with key goals like tax reform and hope for some insulation if Trump remains unpopular ahead of the midterm elections next year. For Democrats, the announcement of Mueller’s new job represented good news and bad news. On the one hand it is a validation of weeks of demands and pressure for a special counsel to investigate the Trump White House. But conversely, the Mueller probe could slow other congressional investigations or deprive them of key witnesses and evidence, as Democrats seek to use the investigations to pressure and discredit the Trump administration. It seems unlikely, for instance, that Comey will now testify in public in what would have been one of the most significant congressional hearings in recent times. There is also no guarantee that if he does not decide to recommend criminal prosecutions, Mueller will feel the need to release a report into his investigation. That is one reason why Democrats will continue to press the case for sweeping congressional probes. “The appointment of a special counsel is not a substitute for a vigorous investigation in Congress and the House intelligence committee will take steps to make sure our investigations do not conflict and ensure the success of both efforts,” said Rep. Adam Schiff, the top Democrat on the House intelligence committee. Deputy Attorney General Rod Rosenstein, who was overseeing the investigation, had resisted pressure to name a special counsel. Here is what the appointment means. Former FBI Director Robert Mueller was named as a special counsel to lead the investigation into Russian election interference. John Yang gets reaction from John Carlin, a former assistant attorney general for national security, Rep. Adam Kinzinger, R-Ill., and Rep. Adam Schiff, D-Calif., plus what precipitated the decision by the Justice Department from Matt Zapotosky of The Washington Post. The classified information that President Donald Trump shared with Russian officials last week came from an Israeli source described by multiple U.S. officials as the most valuable source of information on external plotting by Islamic State. Former FBI director Robert Mueller will over see the FBI probe, including any coordination between Trump associates and Russians. Deputy Attorney General Rod Rosenstein has appointed former FBI Director Robert Mueller as Special Counsel to oversee the investigation into Russian election interference. Rosenstein’s statement on Mueller’s appointment and his order are included below. Here are the top stories for Wednesday, May 17: Mixed reaction over memo that Donald Trump tried to interfere with FBI investigation; DC and Turkey pointing fingers over clashes; Gang raids carried out in Los Angeles; Ringling Brothers to give last show. Lawmakers on both sides of the aisle scoffed May 17 at Russian President Vladimir Putin’s offer to release transcripts from the May 10 meeting between President Trump and Russian officials.